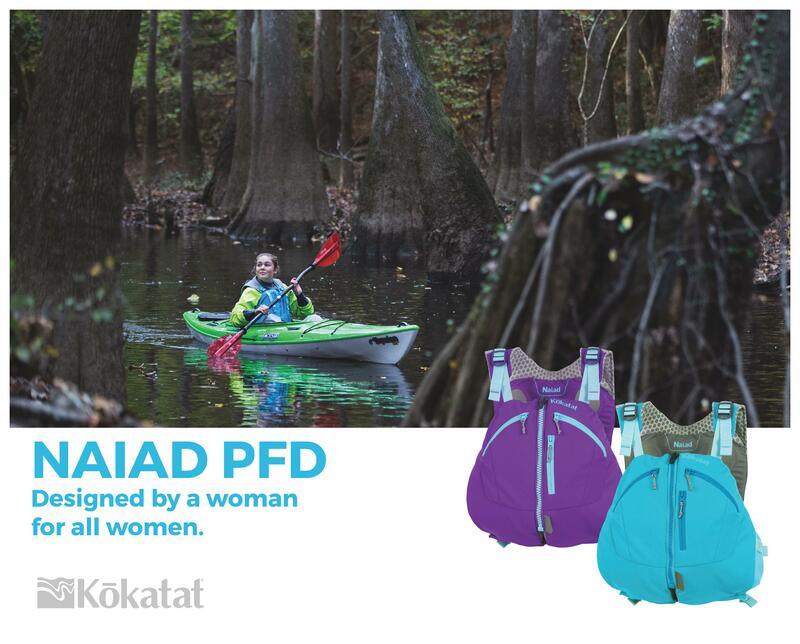 Kokatat’s new women-specific life vest provides the ultimate in comfort and safety in one sharp package. Expertly styled for female recreational paddlers, this front entry, high-back vest features articulated, body-mapped flexible Gaia® PVC-free foam panels that are purposefully designed to accommodate a woman’s natural curves. The soft texture of the durable 100D stretch polyester fabric, combined with 210 high-tenacity nylon in the vest’s high-friction areas, makes the Naiad a perfect vest for everyday paddling, light touring and canoeing. Available in two colors, it features three zippered pockets and two cozy fleece-lined hand warmer pockets for chilly days on the water.